the river traffic, this is the last sea port from Portland," he says. "We'll surely lose it if we don't use it and keep it going." LEWISTON, ID - Local farmers are trying to find a way to get their goods to the rest of the world. Dried peas and lentil exports came to a halt after Port of Portland stopped shipping containers overseas. Officials said the Portland Port closure has caused local farmers to find alternative routes to ship their goods. 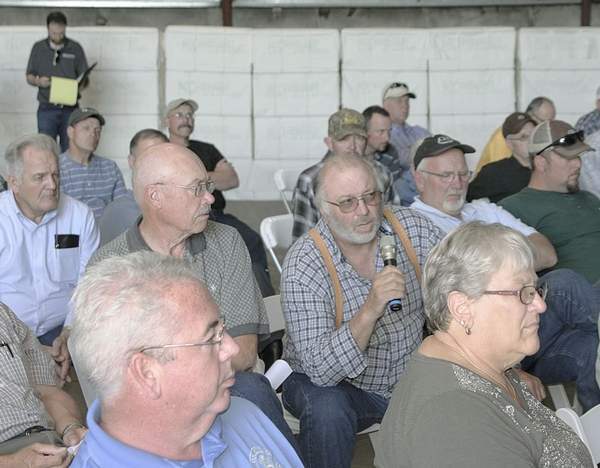 So, over 100 farmers came together at the Port of Lewiston Thursday to discuss options. "So right now everyone is trying to figure out how to be able to get their cargo's to Seattle and Tacoma and be able to efficiently and be able to not get caught up in demurrage charges and be able to get their cargo through the port," said Port of Lewiston Manager, David Doeringsfeld. Port officials said the farmers are transporting their cargo by trucks and the cost has nearly doubled. Farmers are still working for an alternative plan. Farmers Feel the Pinch with Port of Portland Closure <-- Watch video at orignal site.